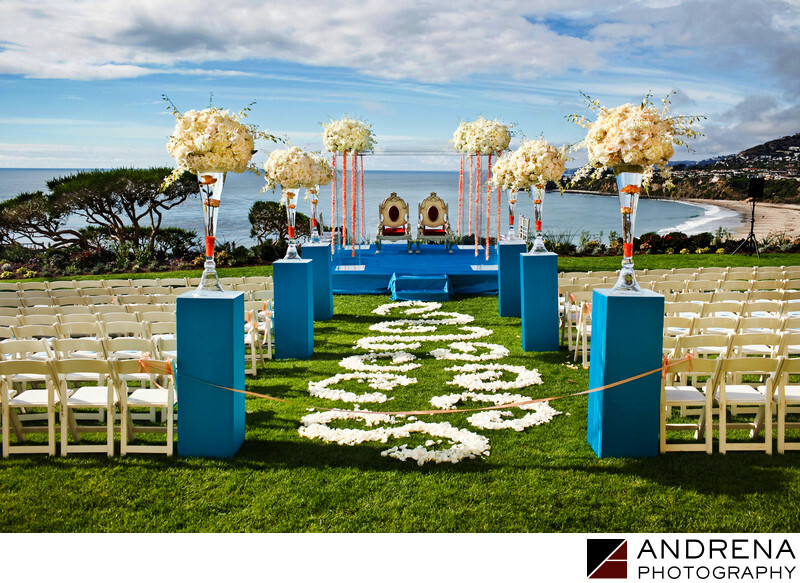 The view from the Ritz Carlton Laguna Niguel ceremony area is second to none. It's even more spectacular when the sky is blue and clouds hover in the sky. This white and turquoise decor palette was created by Square Root Designs for an Indian wedding. The wedding, which actually featured both a Catholic church ceremony and a Hindu ceremony, was published in South Asian Bride magazine.